Murat Yagan was born into a Circassian family in Abkhasia, located in the Caucasus Mountains between the Black Sea and the Caspian Sea. He received his earliest spiritual training from the Elders of his Tradition of Ahmsta Kebzeh and later was accepted by and studied with the Bektashi dervishes in Turkey. 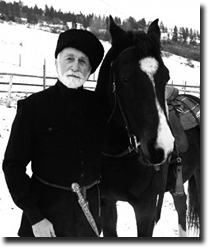 In 1963, he immigrated to Canada where he has been passing on the ancient teachings of Ahmsta Kebzeh.